With Training Peaks publishing the power profiles for some of the professionals riding the Tour de France this year, I’ve taken some time to look over their profiles to break it down and give you a bit more understanding of it. 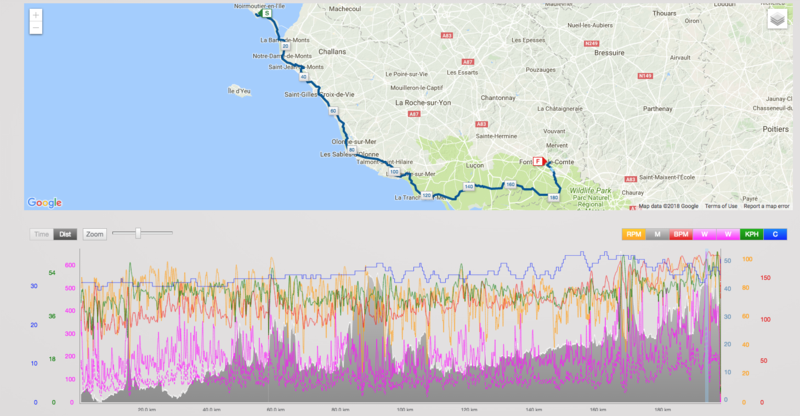 Here is my analysis of both Lawson Craddock (EF Education-Drapac) and Mikel Nieve (Michelton-Scott) during the 181km Stage 6 to Mur-de-Bretagne. 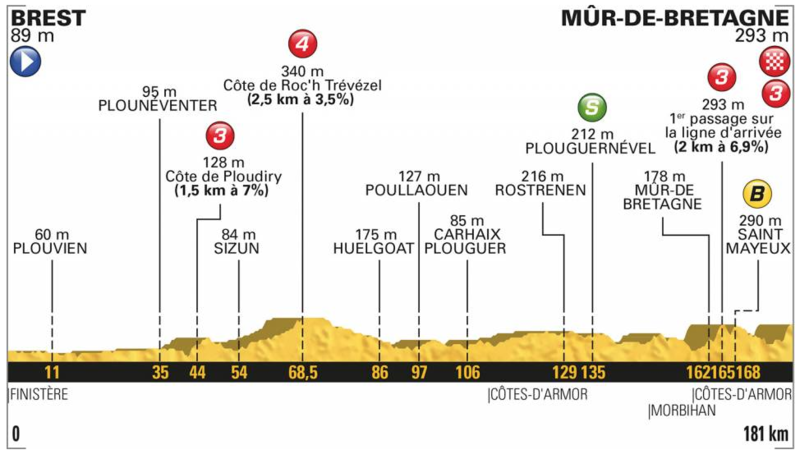 Stage 6 was 181km to Mur-de-Bretagne. 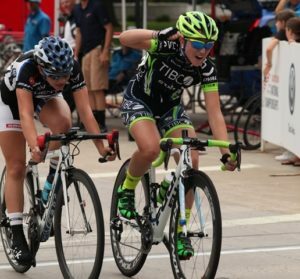 There was an intermediary sprint at 135km, with the Bonus sprint 168km mark. Further to these sprints there are plenty of options for KOM points starting with a Cat 3 climb at 44km, then a Cat 4 climb at 69km with two climbs up the Cat 3 Mur-de-Bretagne the first at 165km and the second at 181km. Early on a group of five riders got away, four Frenchmen with Kiwi Dion Smith (Wanty – Groupe Gobert) – yes, I’m slightly biased – who was wanting to regain some KOM points in an attempt to regain the polka dot jersey. In the middle of the stage, QuickStep – Flooring lifted the pace of the peloton which with the winds caused the peloton to splinter. Some GC favourite got caught out and had to work hard to get back on. The breakaway got caught before the first climb of the Mur-de-Bretagne. Jack Bauer (Mitchelton-Scott) – yes biased again as he is another Kiwi, and one that used to be involved in the Ultimo/R&R amateur team I was involved with managing & his family live over the hill from me – then had a stab with a solid attack to create advantagous positioning for his team leader Simon Yates. Dan Martin (UAE-Team Emirates) then launched a successful attack on the second ascent of Mur-de-Bretagne to win the stage. Lawson Craddock is a 26 year old American cyclist who has been pro since 2011 and is a genuine Tough Buggar* (whose ability to suffer must rival that of Jens Voigt), having broken his shoulder in a crash on Stage 1 and is still riding. Currently he is ranked 654th in the UCI World Rankings. This is his first Grand Tour and it must be pretty gut wrenching to crash on the first stage, but that hasn’t stopped Lawson getting up each morning and riding each stage. Today is Friday 13 July (in New Zealand) and Craddock wears race number 13. I’m not superstitious at all, as 13 is actually my favourite number because my birthday is 13th of July. Since his crash Craddock has pledged $100 to the Greater Houston Cycling Foundation for each stage that he finishes. This money will be directed towards the Alkek Velodrome which is where he got started in cycling. The outdoors concrete velodrome has suffered during the Texas heats, and especially from Hurricane Harvey in September of 2017. Before watching the video of his Power Analysis I encourage everyone to click the link here and make a donation (let’s see if we motivate Lawson to ride to Paris). I also pledge that instead of making my normal donations to the NZ Mental Health Foundation whilst Lawson is still riding the Tour de France any purchases of ANY of my cycling Training Plans through Training Peaks will go instead to Lawson’s Go Fund me campaign. Lawson finished 168th nearly 15 minutes behind the stage winner. With an FTP of ~382 Watts, the longest Lawson spent at or above his FTP was just over 6 minutes. His Normalised Power (NP) was 283 Watts. He had a Variability Index (VI) of 1.27 with an Intensity Factor (IF) of 0.74. His TSS was a moderate 247. *For those that might be offended by the term Tough Buggar it is Kiwi slang from a point of view of respect. Mikel is a 34 year old Spanish rider for Michelton-Scott, who has been a pro since 2008. He has completed 16 Grand Tours (including four previous Tour’s de France) and his best results has been in the top ten at the Giro de Italia twice. 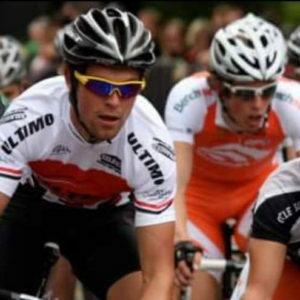 he is currently ranked 145th in the UCI World Rankings. His strength is as a climber and although capable of performing well in stage racing provides excellent support to the team leader. Mikel finished the stage in 44th place 45 seconds down on the team leader. 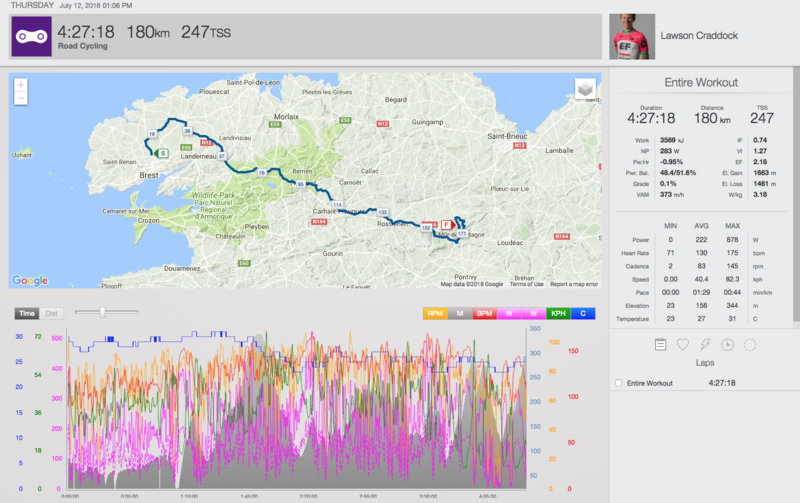 With an FTP of ~373 Watts, the longest Mikel spent at or above his FTP was about 6 minutes. His Normalised Power (NP) was 265 Watts. He had a Variability Index (VI) of 1.22 with an Intensity Factor (IF) of 0.71. His TSS was a moderate 211. Join over 2,410 people who have already signed up to be kept up to date with great workouts and training information in my informative newsletter.